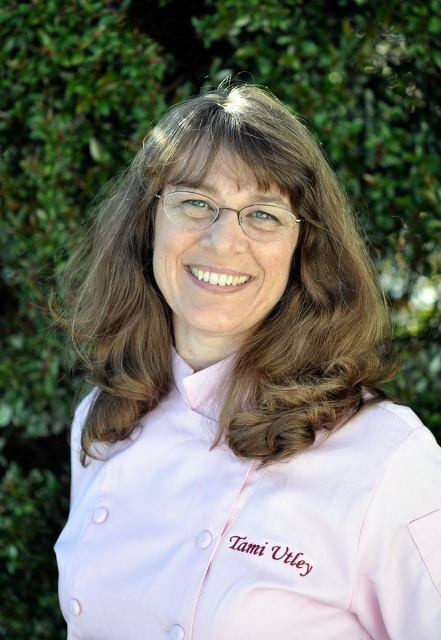 Tami is an award winning sugar artist, author, judge and instructor. She is the original creator of Gelatin Bubbles and has published her first book, "Gelatin Bubbles & Beyond". Tami has written articles for ICES newsletters, Edible Artists Network Magazine and American Cake Decorating Magazine , and was featured on the cover of the Dec/Jan 2007 issue. She was also featured on Channel 6 'San Diego Living' in March 2013. Tami made the fondant figures featured in the 2004 1st place Gingerbread City entry for the Epilepsy foundation. She was asked to be a guest presenter at The International Culinary School at The Art Institute of California–San Diego for their pastry class and participated in a sugar art display for the graduating class banquet centerpiece with her sugar flowers. She has studied with top sugar artists from England and the United States and has assisted both Nicholas Lodge and Colette Peters in their classes. Tami's attention to detail and realistic coloring effects have rewarded her with winning several Best of Shows and many top awards in cake shows. Tami has studied many other decorating techniques in addition to flower making such as floodwork, stringwork and the much sought after Lambeth style of decorating. In 2010 she developed gelatin bubbles and has since developed new techniques in working with gelatin as an alternative to hot sugar. With years of teaching experience, Tami has been making online video instruction videos and DVD's. Instructional DVD's are now available for some of the cakes and projects seen in her gallery! You can contact Tami for a private class, or if you would like her to travel to teach in your area.